Colombia 2015 Copa America HD Wallpapers: Collect the high resolution wallpapers of Colombia football team of Copa America for your mobile and desktop background. Colombia is one of the best football teams of football from CONMEBOL Confederation that current the 4th best team in FIFA ranking. The Manchester United forward Radamel Falcao is the captain of Colombia who will lead the team in this South American football competition. 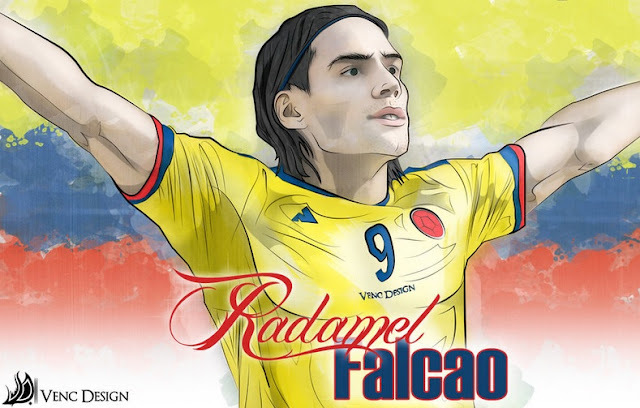 He will be assisted by Real Madrid’s James Rodriguez, Chelsea’s Juan Cuadrado and Co. Let’s get back on topic and take a look on latest Colombia 2015 Copa America wallpapers. Scroll down this page to watch latest images and photos. In 2001, Colombia lifted the first Copa America trophy at their home defeating Mexico in the final. Victor Aristizabal was the top goal scorer of that edition who scored 6 goals in all games. On 24th March 1957, Los Cafeteros lost by 9-0 against Brazil which is their biggest defeat in the history of football. Brazil were also responsible for their elimination in 2014 FIFA World Cup in quarter final round. Save all these Colombia Copa America 2015 wallpapers to your device and cheer up for your team in this 44th edition of South American football tournament.